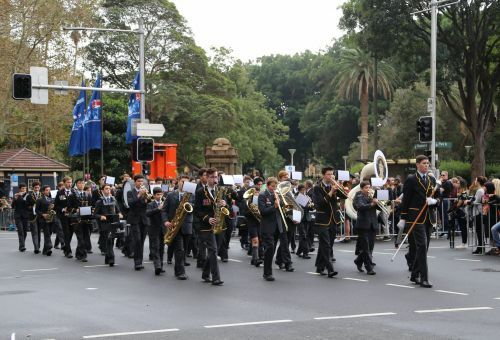 During the Term 1 school holidays, the College Marching Band participated in the Sydney ANZAC March. Our contingent of nearly 50 musicians marched twice, the first time proudly leading the Word War II Veterans and their decedents in the Army’s 5 Division from the 36th Signalling Battalion. The boys must be congratulated on the impeccable way they represented the College and performed.